It’s been a struggle finding the motivation to get a proper post done, with all that’s been going on lately in Mega Man. I know what’s what you’re here for, so I apologize for not having more to give you right now. While I try to get my act together, here’s some other stuff that’s been going on lately. First, while I expect that anyone who frequents my blog already knows about these things, I added some links towards reinstating the Legends 3 Project in my sidebar menu over to the right, just in case. I’ve been positively impressed by the fan outpouring and the support the title has received since cancellation… I can’t help but wonder whether if this sort of intervention had happened sooner, the game would still be under production. Sites like the Mega Man Network, Protodude’s Rockman Corner and Mega Man Legends Station have poured on their support since the very start, but never seemed to achieve such high numbers or notoriety as has been done in these past few days. I doubt many of us fans really suspected how fragile the situation was before the cancellation happened. I know I didn’t realize (or just couldn’t let myself believe it). Will any of it be enough to save Legends 3? I don’t know the answer, but in the meantime just joining the cause eases one’s sense of hopelessness. There’s been a lot of rumors flying around the Mega Man community these past few days, like Capcom supposedly throwing Mega Man fans out of Comic Con, and the musical group the Protomen getting a Cease & Desist order from Capcom lawyers. Though both have rung strongly false, it seems these things are more prone to being believable when the fan community is already agitated like it is. I urge people to be cautious about believing everything they hear, so that they don’t wind up being the ones getting trolled. Other news, the Mega Man Network and a few of its long-time affiliates are planning to host another panel at Otakon this weekend. Even though it’s being held practically in my backyard, it looks like I won’t be able to attend yet again. But, for those who can, you’ll find some useful information here. It sounds like a lot of fun, so I’d recommend getting in on it if you can. E-Can Factory, my latest affiliate, just got done moving to a new host. It’s full of thoughtful trivia and interesting things from the Japanese side of Rockman fandom. Check it out if you haven’t already. If you like this blog, I’ll bet you’ll enjoy that one too. That’s all for now. I’ll try to have some more substantial updates here soon. Thanks for reading. 10 Comments to "Stuff that goes on." Thumbs up on telling people to be cautious about invalid rumors; I don’t know why people feel the need to make up reasons for people to hate Capcom. 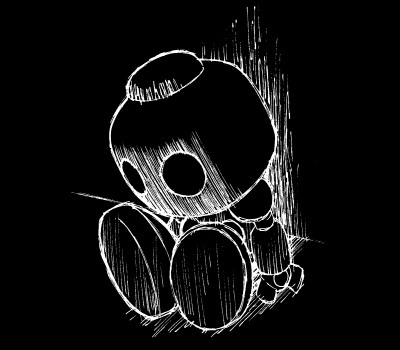 It only hurts us in the end. Subscribed to E-Can Factory now! Sorry about what has happened with Legends 3, I still look forward to the future of the series and this site! I dunno about you, but I’m -exhausted-. I don’t want to hear another damn thing about Capcom being evil, the Protomen being canned, or Mega Man being cancelled! Hate to sound negative (is there anything positive about this whole thing?) but certain fans out there would like to show how much “power” they have by fruitlessly trying to revive this project and/or voicing their displeasure to Capcom. First off, Capcom is NOT listening to anyone except their bank accounts, and second, if anyone wishes to flex some “power”, refuse to buy the next piece of recycled garbage they churn out! Enough said. This is why I tend to avoid rumors as much as possible: they tend to burn you out quickly. Between completely false news and half-truths, I find my time to be better used focusing on what’s actually going on, even if it means waiting a few days before getting a clear picture of a situation. I have nothing MML3-related to talk about at the moment, since I’ve kinda burned out on that subject, but I remembered something about the Ruby-Spears cartoon. See, it was doing very well in the ratings (at least I hope), but some of Bandai’s other toy lines weren’t doing so well, so they complained to Capcom about it. Capcom’s (I think) solution? Ax the cartoon. Nope, never mind the high ratings, just dump everything and move on! Yeesh…MML3 definitely isn’t the first time they canceled something that got a positive response (though in RS-MM’s case, that response wasn’t coming from the fans). I didn’t know that about how the Mega Man cartoon got canceled. I guess I don’t know that much about the show’s production in general, I just have my fuzzy memories of a handful of episodes. Something tells me I’m better off keeping it that way. Most of the time now, I feel so blah about all of this. I don’t think Capcom is the devil and I don’t want them to go bankrupt, or get hacked, or any of that. I just want them to finish the game I want and, fates willing, for that game to be a success. Everyone wins! It seems so simple, so why is it that it feels so impossible right now? 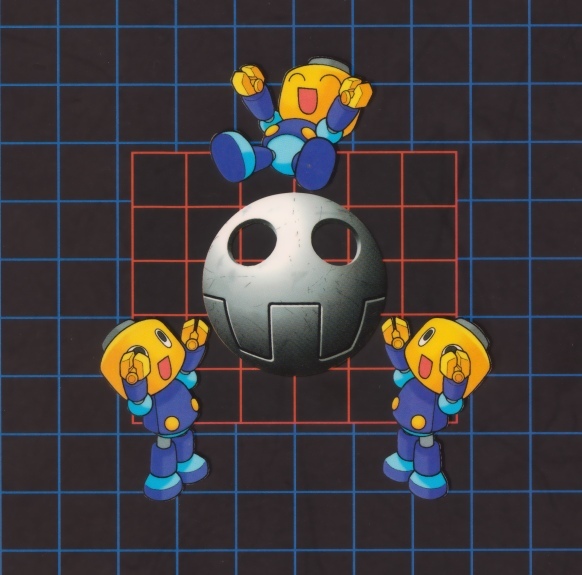 I’m SO tempted on the Mega Man entry page at CDW to change the part about MM being Capcom’s official mascot to something like “but as of 2011, he has been tossed aside like a burnt out spark plug” or something! I really shouldn’t, though……..should I??? Ha ha, don’t ask me, I’d be too tempted to let the little devil on my shoulder answer. The Capcom Database is a true labor of love by Capcom’s fans. All fan sites are, for that matter. So what happens when those fans who spend their time, thought, and energy presenting and promoting Capcom’s works for free… feel betrayed? How has the relationship changed? I’m sure every website across Mega Man fandom is struggling with this in their own way… Or, I know I am. Interestingly, only seconds ago, some unknown user did just what I was talking about. No surprise there. Anyway, my advice to you: do NOT give up your pasttime if it made/makes you and others happy! I, for one, never did anything expecting recognition or payment of any kind. The recognition you get from your peers and fellow fans should be payment enough. Keep doing what you do (when ready, that is)! #20, if you want, do you accept a request? Why not make a summary of Ariga’s Rockman Tanjou Densetsu in a similar way to Rock’n Game Boy? It would be good to see how the series started, and how Mega Man 2 passed by a situation similar to Mega Man Legends 3 (but had more success in being released, and now it is regarded by many one of the best NES games).